New Orleans is one of those cities that comes alive during the holidays. Though always a place to laissez les bons temps rouler, the air simply vibrates with celebration in New Orleans at Christmas time. My past Christmas visit was solo, courtesy of the New Orleans CVB, but reliving my trip through the photos really makes me want to plan a visit à deux – an adults only getaway in a grand hotel, dining on sumptuous food, and slowly window shopping along Royal Street. 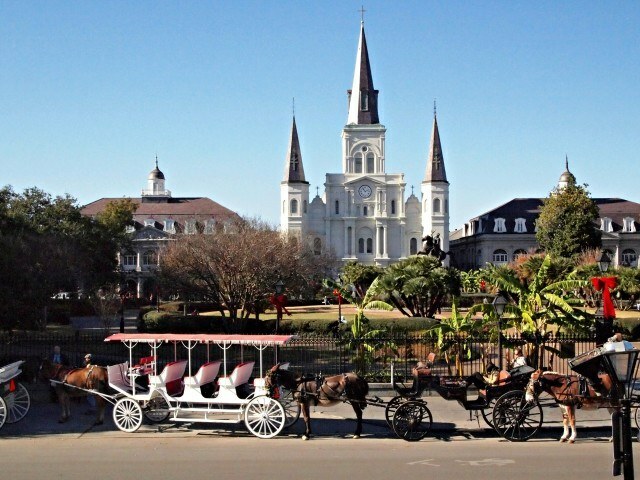 It may not be ‘dashing through the snow in a one-horse open sleigh’, but a carriage ride through the French Quarter is pretty darn romantic. Plan an evening ride to take advantage of twinkling lights strung from the balconies. 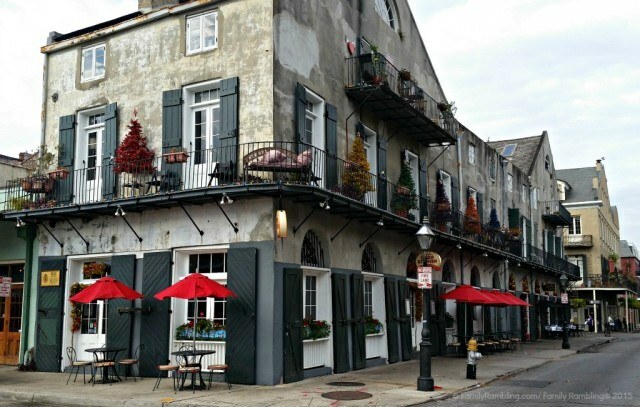 A good jarvey will share the history and tales of New Orleans as you drive through the historic streets. 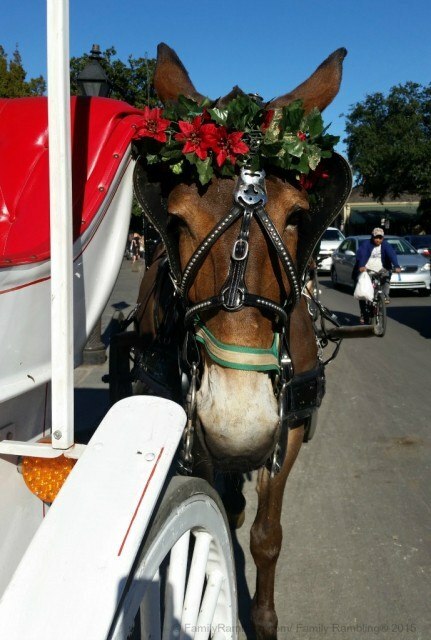 Even the mules are in the holiday spirit. The epitome of New Orleans, the red Canal Streetcar, is festive with garland and bows. 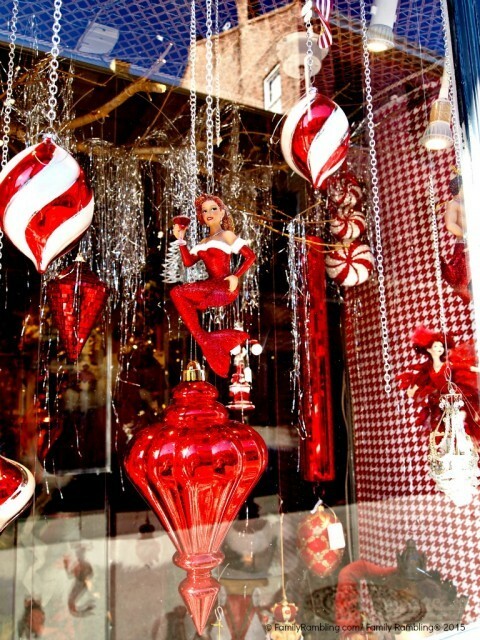 Ride the streetcar from the French Quarter to City Park and wander through acres of lighted displays. Shop windows, like this one on Royal Street, are dressed to impress, hoping to draw you (and your dollars) through the door. 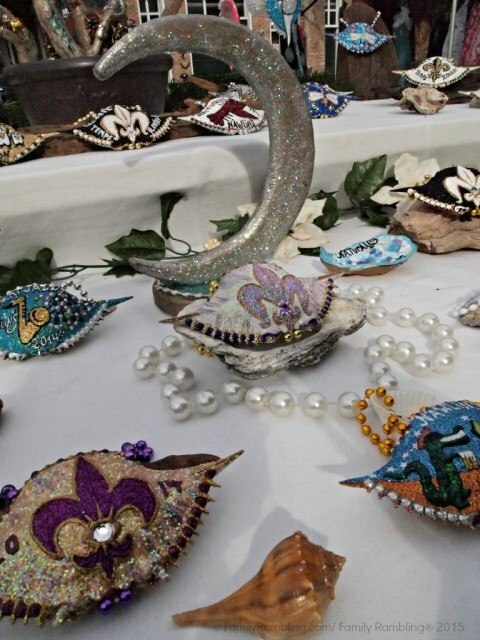 For one-of-a-kind gifts stroll down to the French Market. Stick to the outer edges of the market for hand-made crafts and accessories, like these hand painted crab shell ornaments. Throughout the French Quarter you’ll find balconies and galleries decorated with trees, lights, garland, and flowers, each unique to their inhabitant. 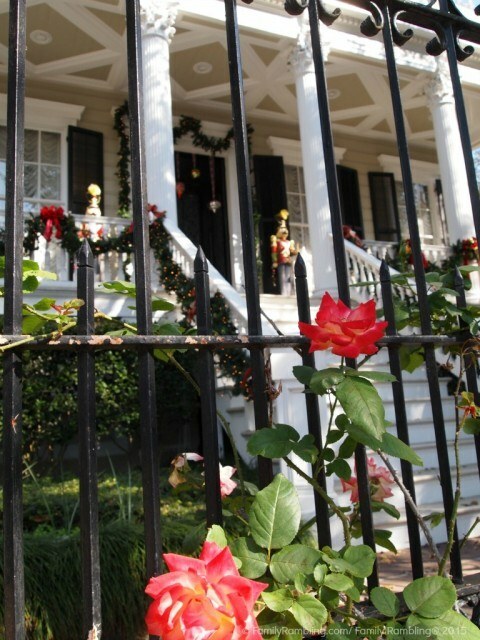 The Garden District becomes even fancier, if such a thing is possible, adding swag garlands, red ribbons, and twinkling lights to their already grand homes. 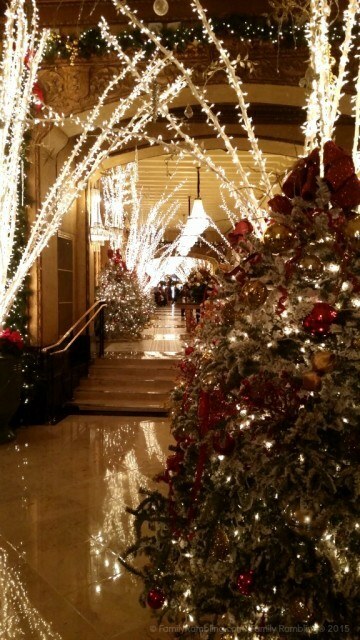 The grand hotels of the city, like the Roosevelt, line their halls with lighted boughs and sparkling trees. 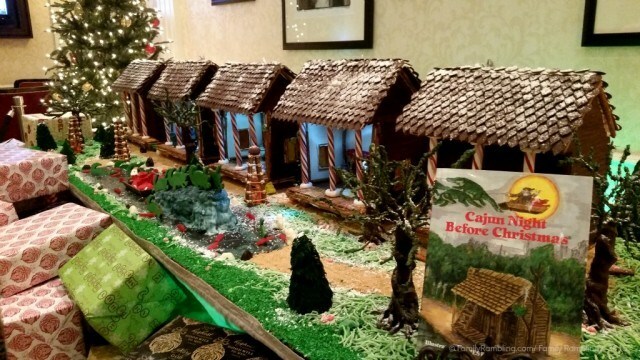 Christmas traditions are created from gingerbread, wowing visitors. 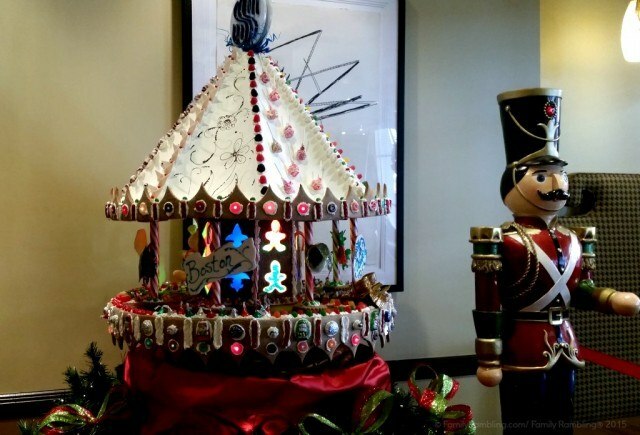 This gingerbread carousel at the Royal Sonesta was not only lighted, but it also turned and played music! Not all gingerbread is traditional, though. How fabulous is this ‘Cajun Night Before Christmas’? A truly special event, the Holiday Tea at La Salon in the Windsor Court Hotel is a fancy, 2 hour affair complete with special cocktails, finger sandwiches, warm scones, and bite-size sweets. New Orleans has more than her share of fabulous restaurants – choosing where to dine can be difficult. 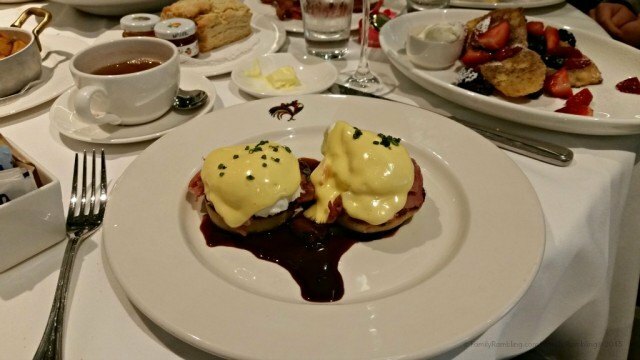 Let me just say that you can’t go wrong with the Eggs Hussarde at Brennan’s on Royal Street. The rich marchand de vin sauce takes this dish to a whole new level. 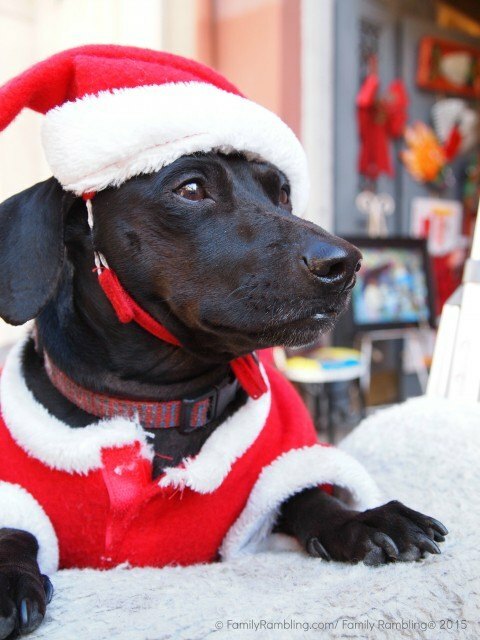 As you wander through the French Quarter watch for Charlie Joseph Jochum in his Santa Paws outfit. He’s truly a sweetheart. 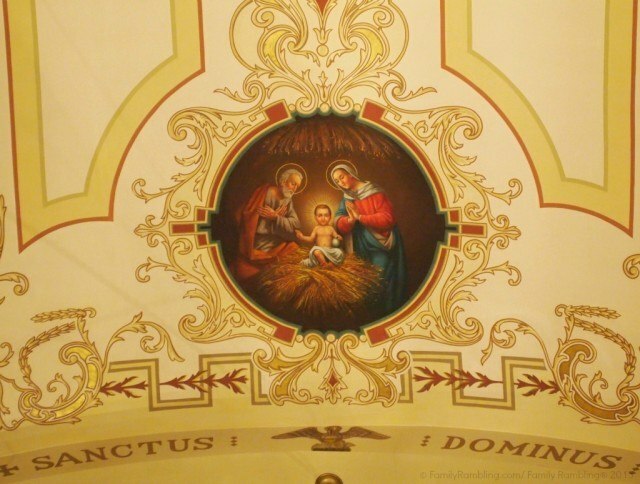 In December St. Louis Cathedral hosts Christmas Concerts. You’ll hear everything from local Gospel Choirs to Jazz and Classical. Concerts are always free (donations are accepted). Arrive early- or depart after the crowds- to view the incredible frescos in this historic church. 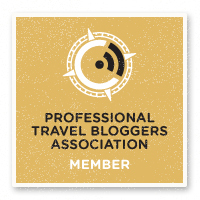 Save me for future vacation planning inspiration! Make your plans! 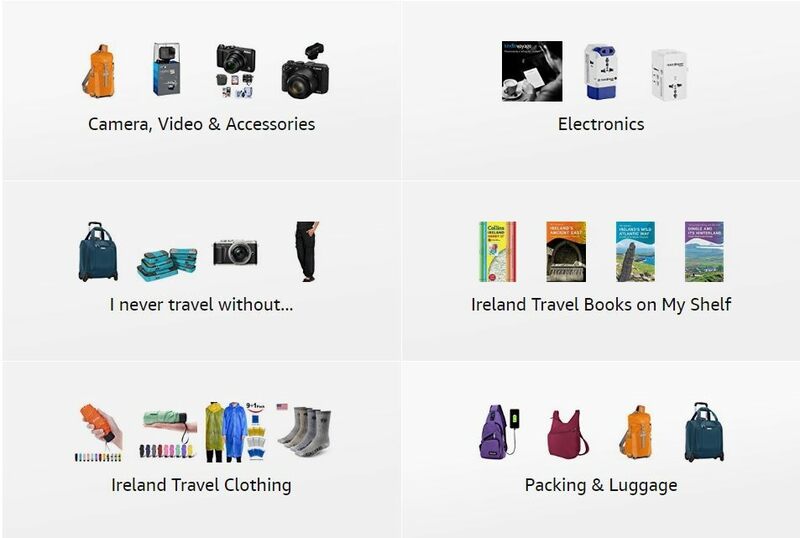 You’ll find plenty to do, so a bit of research is in order. Use the New Orleans holiday website to view upcoming events and plan a loose itinerary. Book your spot! 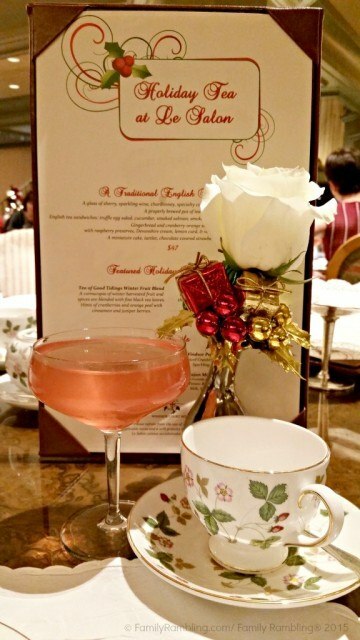 Especially for afternoon tea or dining in some of New Orleans’ most famous restaurants reservations are necessary. Choose your hotel. If you want the action of Bourbon Street with the grandeur of the French Quarter, choose the Royal Sonesta. Didn’t come to NOLA for the nightlife? Stay at the Hotel Provincial near the French Market. Want a stay to remember? Splurge on The Roosevelt New Orleans, a Waldorf Astoria Hotel. Few hotels have airport shuttles, but most can help you arrange car service. Pack cute- but comfy- shoes! 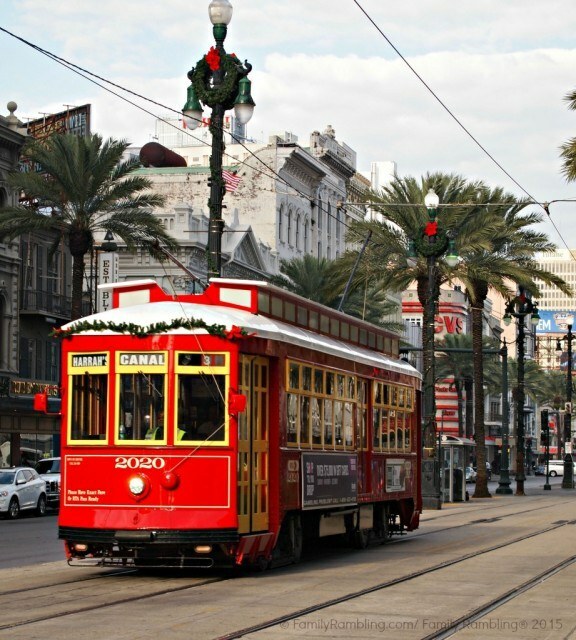 New Orleans is a perfect walking city – and temperatures in December are fabulous! Remember comfy walking shoes! And don’t forget at least one great outfit for dinner or tea. You can’t be too fancy – so live it up. 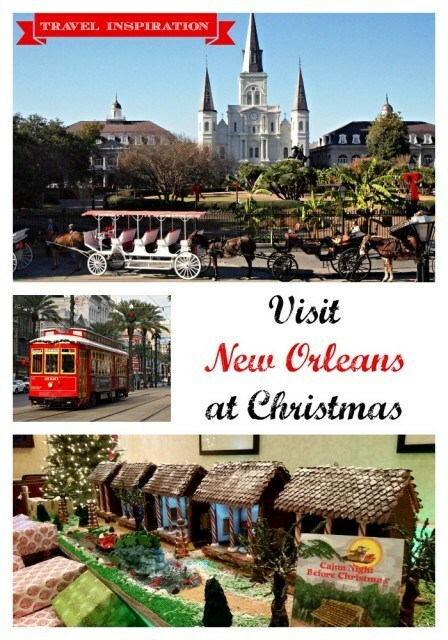 Want to Visit New Orleans this Christmas with Kids? I’ve never been to New Orleans and pretty much would go any time! But these pictures are truly beautiful. Makes Christmas-time seem even more magical. It is really a great time of year to visit! I hope you get a chance to go one day. Loved this! I enjoy New Orleans and I hope others will, too!